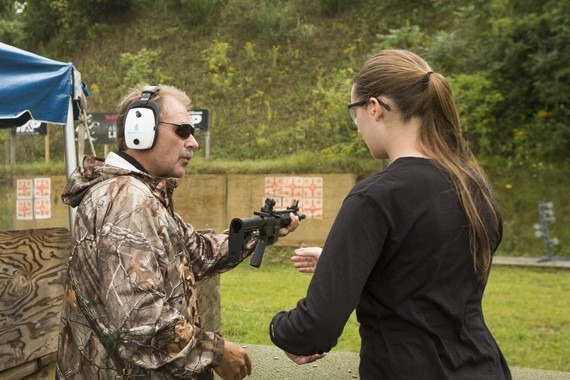 Intro to Shooting Sports is a one-credit sports studies course and serves as the foundation of the shooting sports program. Classes are two hours long and meet once a week for eight weeks. To participate, students do not need prior experience, and all equipment is provided. My thanks go to all our great instructors, to a wonderful group of participants, to Smith&Wesson and Winchester, and to Hillsdale College, an absolutely amazing school! The instructors were wonderful, and I feel as though I have a sport to enjoy. The professors do yeoman’s duty, too, speaking to us, then answering our questions until we quit asking. What dedicated professionals, all! I was way out of my comfort zone and was unprepared for what a complete and thorough learning experience these fine teachers were able to administer.